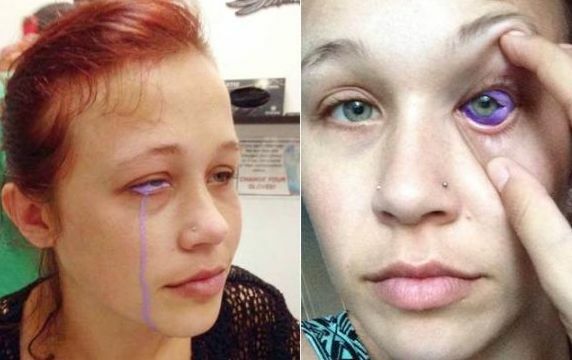 A model who ended up crying purple tears after a botched tattoo job says she is now at risk of losing her eye completely. Why even go for a tattoo on your eyeball? Catt Gallinger’s boyfriend gave her the tattoo, but it very quickly became clear that something had gone wrong.